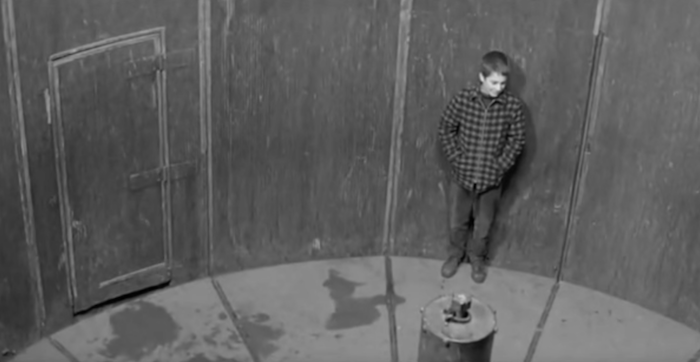 ScreenPrism: Why is the spinning wheel scene in 400 Blows (1959) so memorable and iconic? Professor Julian Cornell: I like the spinning scene’s placement within the narrative. One of the things I like about the 400 Blows (1959) is its shaggy narrative. Often writers will use that term — that it's a very “shaggy” story. It's not a meticulously crafted story. Stuff kind of happens. And what I like is that it conveys the longing of the character, while being seemingly not about that. The way the camera follows Antoine (Jean-Pierre Léaud) around on the wheel, we follow with him. We experience that same feeling, that vertiginous feeling that's both freeing, exciting and terrifying all at the same time. And filming it that way (which they couldn't have done with old are cameras; they needed these newer lighter camera to do it) really gives you that sense of the complexity. It gives you that real sense of experiencing it with him, the exhilaration but also the terrifying part of it and knowing that he's not supposed to be doing it. The whole thing about the French New Wave is that you needed the technology to do it. And you see this all the time — whenever there is a leap forward in some kind of technical aspect of art, someone is going to say, “What can I do with this? Now I have a lighter camera, what can I do with this? Now I can carry it around all day long without needing back surgery.” So Truffaut and his collaborators and contemporaries in France think, We got this camera now. It doesn't cost us as much money to rent. You can buy one. The film stock is cheaper — let's see what we can do. A lot of the scenes in The 400 Blows are just about experimenting: we have this technology; what can we do with it? We can lug that camera up to the top of a building so we can show these kids deserting their gym teacher in the middle of the day. We can take the camera up to the roof. We can put the camera on the amusement park ride. We couldn't do that in the past, or if we did we couldn't shoot it the way we wanted to. It’s about the freedom of these new lighter cameras. It has to do with its free spirit and authenticity because it has this feeling of anything goes. We don't have to follow the rules. We make our own rules. We know what the rules are — we use them when they fit what we want to say, and when they don't we'll think of something else. And we can do that now. Read more from Ask the Professor: Why does "400 Blows" end on a freeze frame? What was influential about this choice? Ask the Professor: Were the five sequels to “400 Blows” a new kind of episodic storytelling?